Personalised Dad Wallet Card for Special Gift and Memory Keepsake. 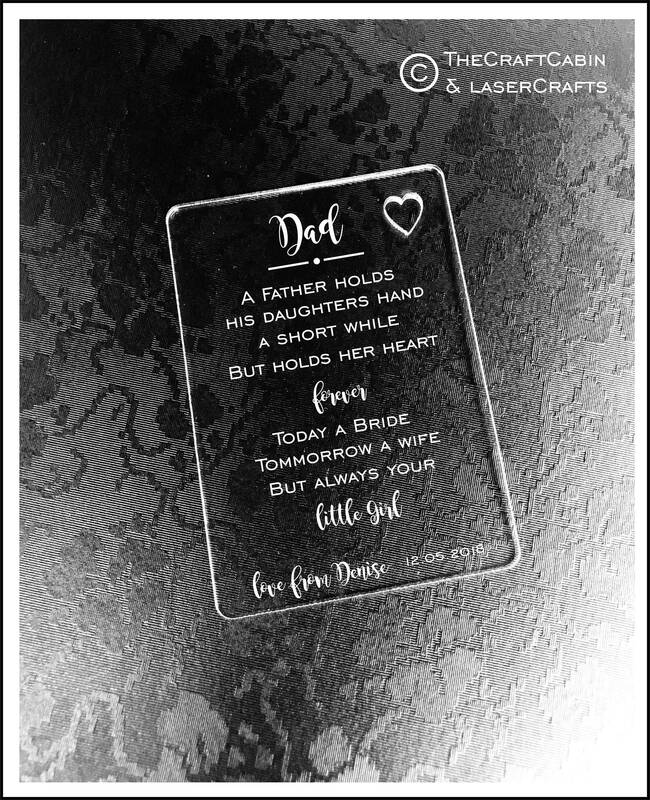 Engraved Gift Card for Father's Day, Birthday or Christmas Gift/Present. 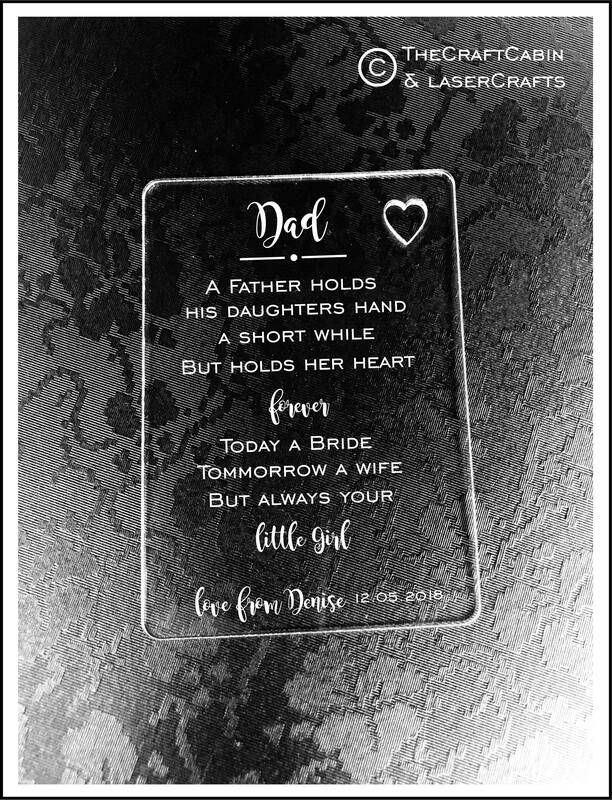 Beautiful Dad Gift, cut & engraved on high quality Acrylic. Personalised Wallet Card. Exactly as described - really love the product. Thank you!